Valentine’s Day is a time to celebrate with the ones you love. From specialty gifts including singing plush toys and Blooming Expressions Flowers, to exquisite Signature Greeting Cards, there’s no better way to share the love than with Hallmark’s 2014 Valentine’s Day offerings. Hearts a-Hoppin’ Frog – Special: $15.95 with each purchase of 3 Hallmark cards. 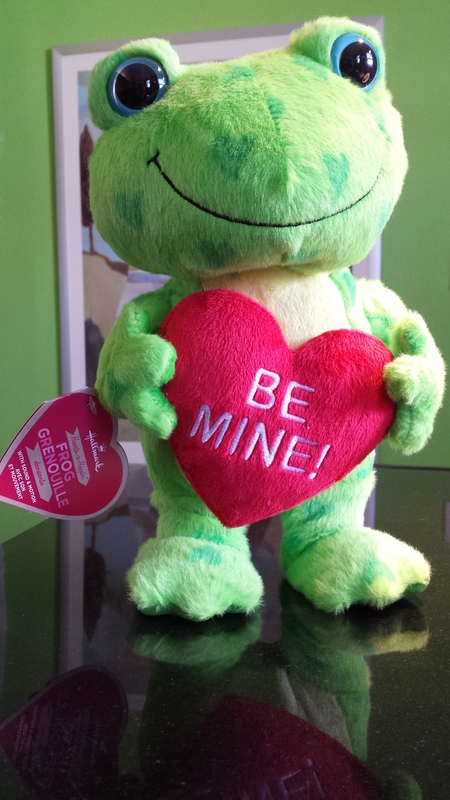 MSRP:$29.95 This Valentine’s Day, bring out the hoppy with this friendly frog. He dances in sync to a parody of “Hot, Hot, Hot!” and walks in a circle. 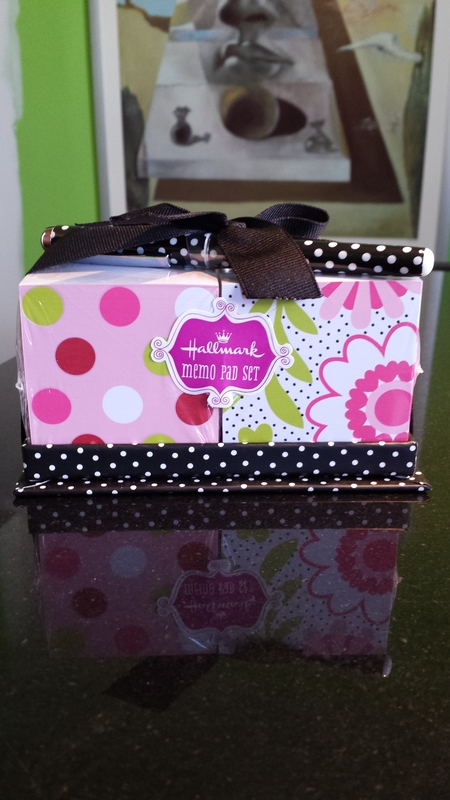 Spring Dots Dual Memo Block – Special: $7.95 with any purchase. MSRP:$12.95 Wrapped with a bow and includes a coordinating pen, this memo block has 500 pages for all the different ways to say I love you. 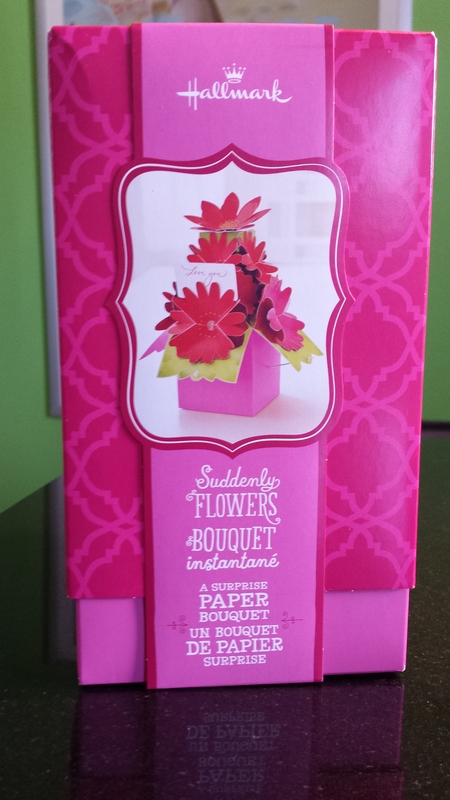 Suddenly Flowers – MSRP:$14.95 each WOW without the worry – these flowers never wilt. In a simple movement (just lift off the top box), transform a decorative gift box into a beautiful bouquet of carefully crafted paper flowers with a meaningful me-to-you message. 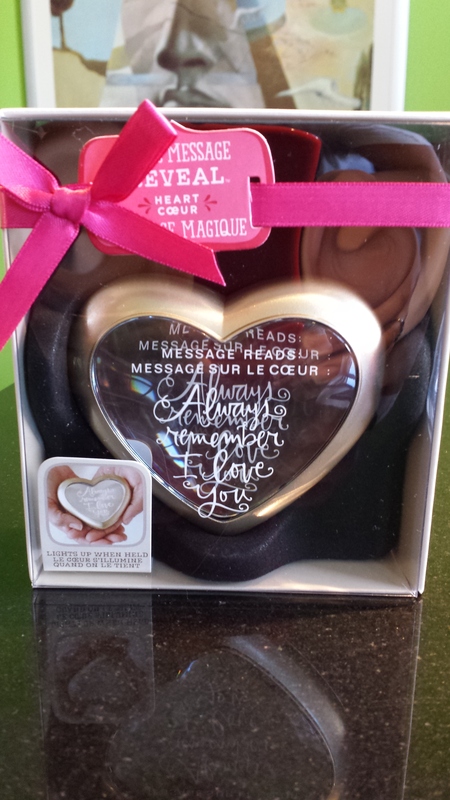 Magic Message Reveal Heart – MSRP:$16.95 At the touch of a hand, an endearing reminder of constant love appears, in a crystal-clear heart-shaped window. Twist the top and the inner compartment allows you to add a personalized small gift or additional message for that special someone. 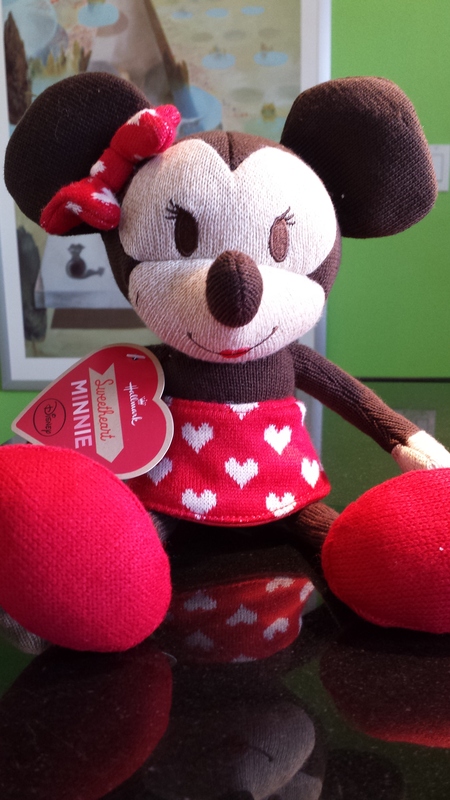 itty bittys™ Disney® Happy Hearts – MSRP:$6.95 each Though this limited-edition Valentine’s Day version of Mickey is itty bitty, he’s still got the same big heart that Disney fans have come to love. Hallmar’s itty bittys plush are so fun to collect that you’ll want to own each and every one of these perfectly-sized companions. 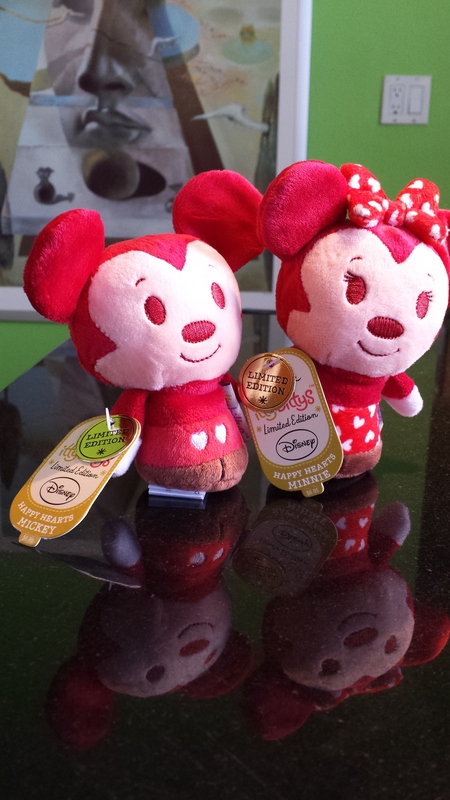 Disney® Sweethearts Mickey and Minnie – (only Minnie shown) MSRP:$14.95 each Nothing can separate this classic couple. These fabric, stuffed Disney Sweethearts, Mickey and Minnie, are guaranteed to make any pair fall in love. Each sold separately. 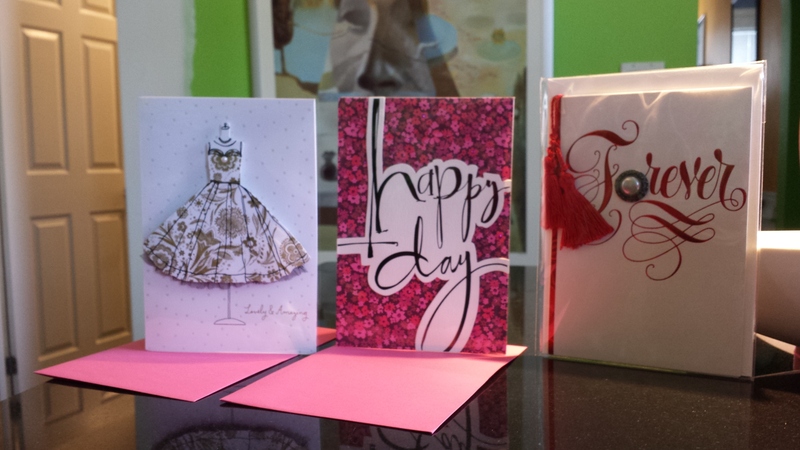 12 Valentine’s Day Greeting Cards and more than 70 ‘Other’ Greeting Cards – The Hallmark Sarah Jessica Parker Collection is a new offering of greeting cards sold exclusively at Hallmark Gold Crown stores across Canada. Priced from $4.99-$7.99. 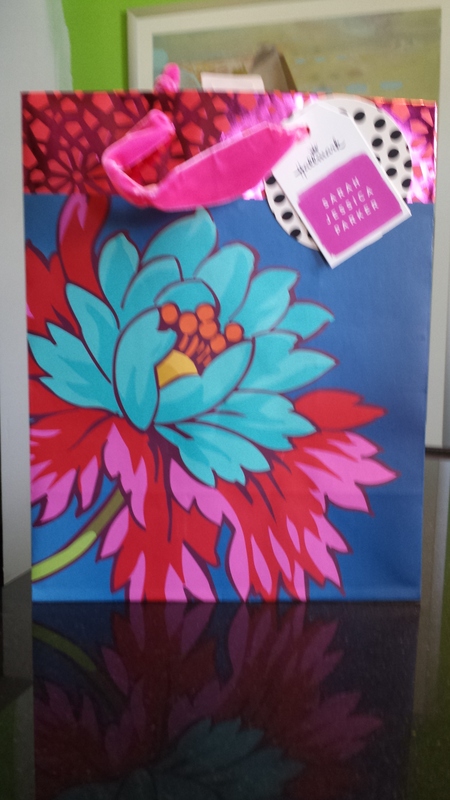 Stationary and Gift Wrap – The Hallmark Sarah Jessica Parker Collection is a new offering of stationary and gift wrap, sold exclusively at Hallmark Gold Crown stores across Canada. Priced from $12.95-$14.95. Now get Shopping!!! ….. and ….. don’t forget to enjoy Valentine’s Day!! 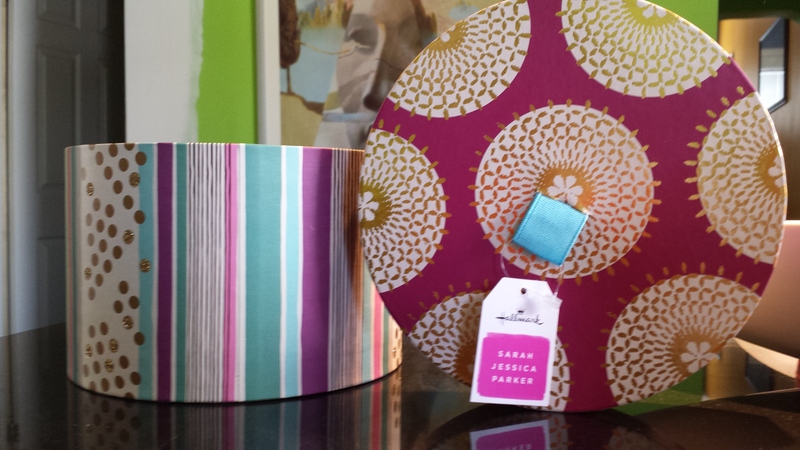 LOVE the SJP cards and the frog!